When you fall in-love it’s forever. But sometimes forever comes with a price. I never meant to meet Nathaniel Teller. It was by accident, on a Tuesday, that I walked into his bar. He was solemn, intense and hiding a secret behind those stoic green eyes. I never intended to fall in-love with him. We were supposed to be just friends. But I fell for him hard, deep. There’s no turning back. I never thought his past would be so dark. And if I thought I had any chance of being in his future, I was wrong. Because his past is his future. And I need to walk away. 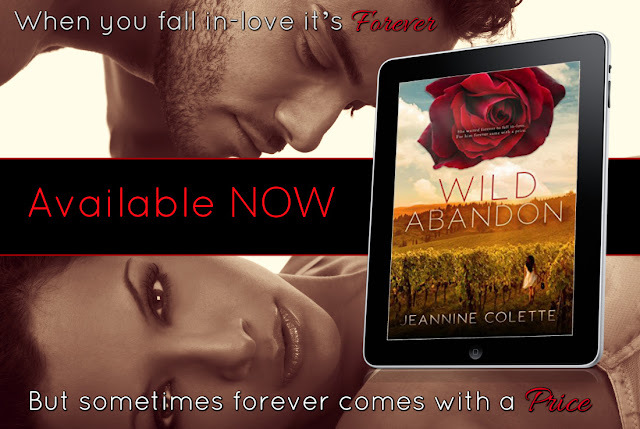 Wild Abandon is a stand-alone novel in the Abandon Collection.